Meizu, a Chinese electronics innovator, may not have gained such a voluminous global traction as its parallel ‘Xiaomi’ has, but it doesn’t make it any dwarfer than the latter. We are no stranger to the paramountcy of ‘Xiaomi’ in any sense, however, the success of Meizu doesn’t go unnoticed, which bags a comfortable position on the list of China’s most powerful smartphone manufacturers. What could be termed as a master stroke of the company is the selling of 8.9 million units worldwide in the first half of 2015 – a figure Meizu will never desist from swanking about. Now, let’s just deviate from ‘what-has-been-done’, and talk more about ‘what’s coming’. Meizu is the talking point of the town again, thanks to its recent flagship device ‘MX5’. Meizu is all set to make headway in Indian markets with its ‘MX5’ and hopes for a phenomenal response in the same way it has received worldwide. The company, whose most of the products are Android-derived, is looking forward to shaping up its business in the world’s largest growing market, and we are sure that it is going nowhere wrongly while keeping up with MX5. Here, we have listed down all the features of the smartphone that you may be inquisitive about. Navigate down to get acquainted with its architecture. We would not say that the exteriors of MX5 look a ‘sorry’, but the phone doesn’t score well in this regard either. Look-wise, the phone is satisfactory. However, what could be a plus point is its reasonability which Indian markets desperately yearn for. Meizu, in perfect sync with the behaviors and priorities of Indian customers, has kept MX5 low-priced, a circumstance which can fly in the face of Xiaomi’s chest-thumping popularity. Worth to mention here is its two features which would definitely make you scrub your eyes once. MX5 has a rectangular shape with a silhoutte designing, which ooze an Apple iPhone feel. The doers of MX5’s structure will certainly invite a bit of a scoff from Apple on account of the features like the silver chassis, a fingerprint sensor and the spherical curves. 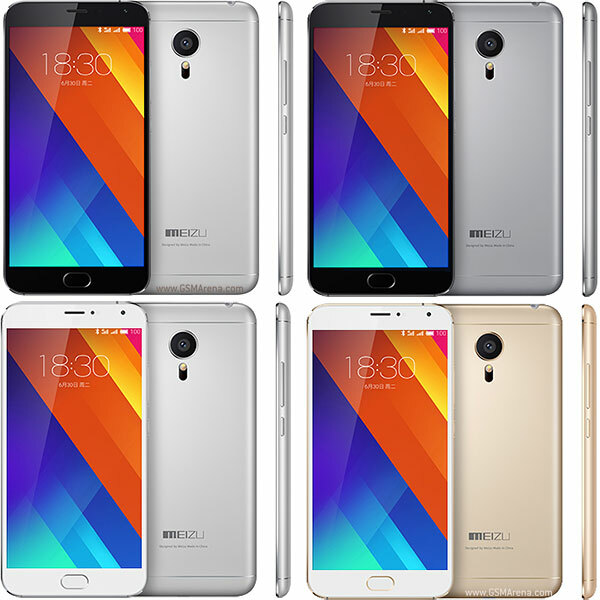 Meizu has attempted nothing new while designing MX5, as the phone looks a replica of its predecessor MX4. However, the addition of volume rocker keys and the power button in MX5 is much of a savior. By doing so, the company has spared itself from the unpleasant ‘recap’ of its expertise. MX5 is smart, sleek and easy to handle. Despite such a make, the phone weighs just 149 grams, which comes as a shocker from a device of such a kind. Fingerprint Scanner is not a breaking news as this is something your eyes are accustomed to. Meizu has adopted this feature from its previous ‘MX4 Pro’ device. However, the way this fingerprint scanner has been fine-tuned definitely deserves a loud applause. The fingerprint scanner of MX5 – referred to as ‘mTouch 2.0’ – works fast and in dual styles, being the touch and the press button. You will succumb to its captivity for sure. The display is what we are excessively hooked on. To the bliss of many, MX5 sports a 5.5 inch display and 1080 * 1920 resolution. What does more good to the excellent is the integration of AMOLED screen panel and Gorilla Glass 3 protection, something which will get you bowled over its appeal. Delving deep into its power, the resolution is 401 ppi, which is laudably sharp. Moreover, watching videos on MX5 is an absolute pleasure, courtesy non-presence of the bezel on the screen-sides. Taking everything into consideration, the display receives stellar ratings owing to its strength and functionality. Meizu MX5 runs on 64-bit-Octa-core 2.2 GHZ combined with 3GB RAM, the features that speak highly of its fantastic engineering. However, if the smartphone is operated for a prolonged duration, it gets heated – heated to such an extent that it automatically turns-off. This is upsetting. Android OS is quite thinkable and is not a ‘guess’ anymore. This time Meizu has drifted away from the long-trodden path, and introduced ‘Custom UI’. The company does an improvisation, like many other smartphone makers, and has launched ‘Flyme OS 4.5’, which is based out of Android Lollipop 5.0.1. Not to mention, this UI looks like the iOS. Meizu MX5 is a knockout when the camera is all to go by. The phone comes with outstanding specs, which make it capable of capturing the slightest and the toughest. MX5 sports a 20 MP camera, a Sony IMX220 sensor, dual-tone LED flash, aperture of f/2.2 and autofocus mechanism. When it comes to catering to the needs of self-admiring planet – the ‘selfie’ world – the camera has plentiful. It employs a 5 MP front-facing camera with f/2.0 aperture. Now that’s big. Meizu MX5 is powered with 3150 mAh non-removable Li-Ion battery. The company boasts of the battery, saying that the users can plug-in the device and charge 0%-25% in just 10 minutes, an advantage attributed to the mCharge Technology. The device can run up to 8-9 hours on one charge. The rest depends on the usage habits. Meizu MX5 is a dual-SIM phone. It is available in variants of 16GB, 32GB and 64GB for Rs 18, 468, Rs 20,519 and Rs 24,630 respectively. What makes its futuristic worry in India is its non-support to MiscroSD card. To recapitulate, MX5 is quite awesome with tons of positives and a few negatives. We would have to see what magnitude of response it garners from India. What the future holds for Meizu MX5 will be unfolded gradually. We are wholly convinced that you have felt delectation while going through this post. We hope we are leaving you with no doubt in your head. For more updates on the latest technology and tech news from around the world, keep checking our blog ‘Bloom Times’. You can also share this article with your friends on Facebook, Google+ and other social media profiles. Have a good day!